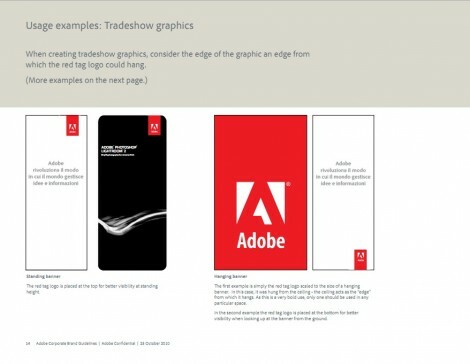 It’s great to find a recent set of brand identity book and guidelines nowadays, and more so when they belong to Adobe, and are dated October 2010. 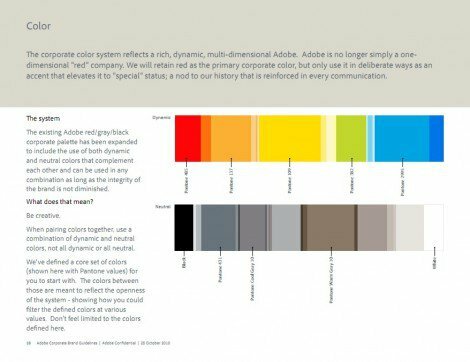 It’s usually hard to find companies willing to make their brand guidelines openly accessible like Skype, I Love New York, FourSquare and even NASA, as many seen to keep them close to their chest, or to those that need to know. 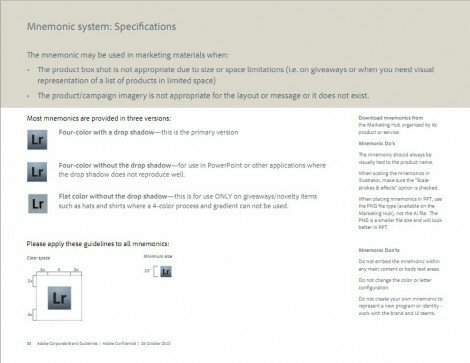 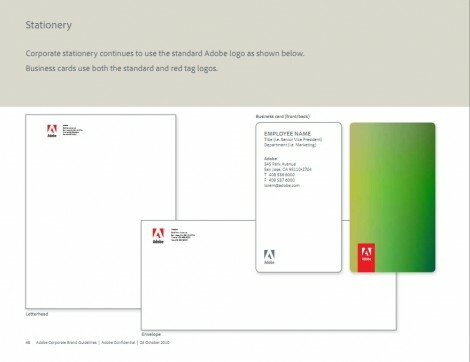 The above named guidelines have done the circuit, and are not exactly new news, but this is the first time I have actually seen the Adobe corporate guidelines around the internet. 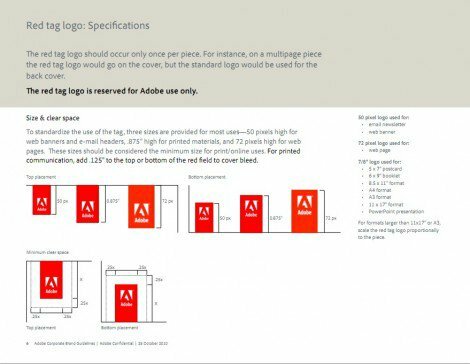 Adobe’s branding book is what you would expect in that it is detailed and a cleanly laid out 60 pages of identity do’s and don’ts. 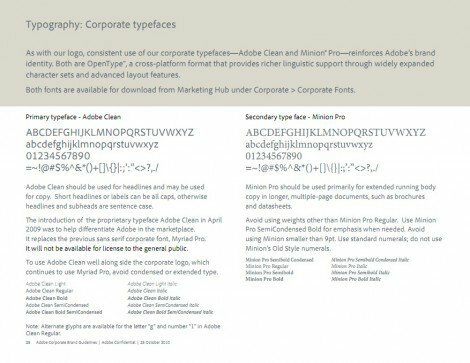 Adobe knows only to well, a company that has many sub brands, the importance of continuity of it’s corporate visual identity. 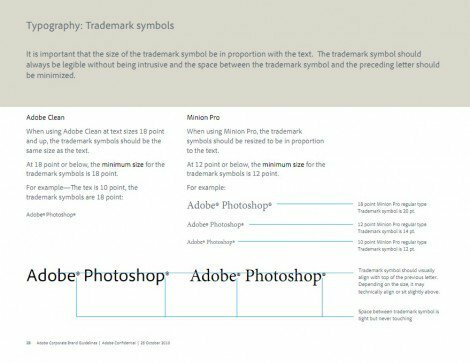 The Adobe brand book covers a wide range of touch-points in it’s identity guidelines: logos, typography, colour, imagery, photography, logotypes, mnemonic’s, branded merchandise, templates etc.